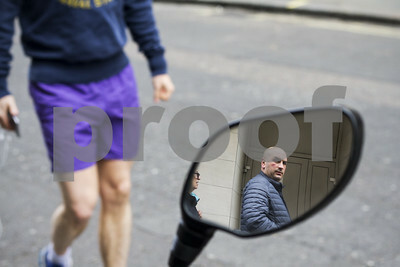 A man looking in a moped mirror, probably looking at what I was doing!! 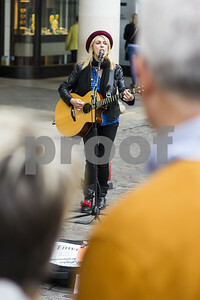 A group of people watching buskers performing. 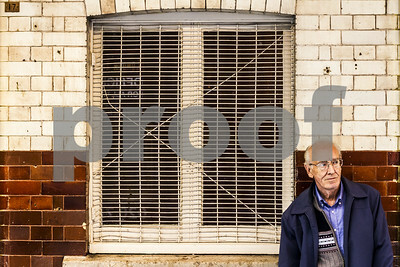 A street image of a man standing in front of an old dirty wall. Huffing and Puffing Up the Hill. 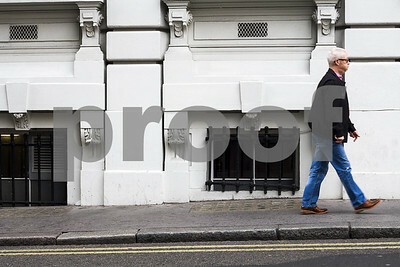 A man walking up a hill in front of a white building in London. 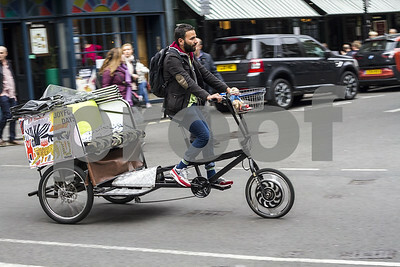 Another form of transport in London. 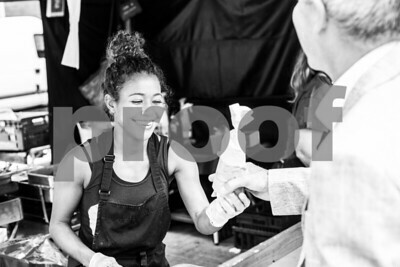 I Want What She's Got!! 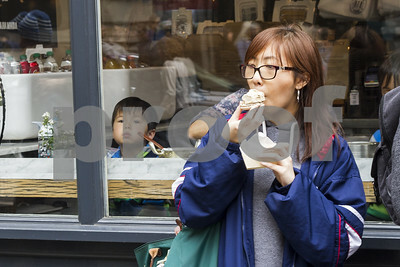 A woman eating a cake being watched by a young boy in a shop. 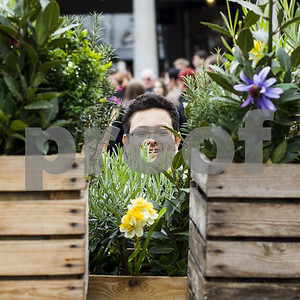 A boy hiding behind flowers on a stall in London. 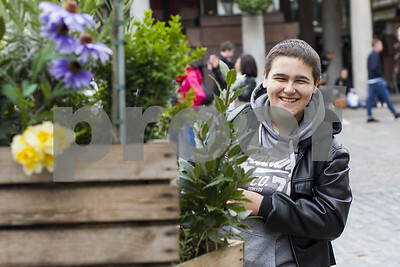 A young lad smiling from behind a flower stall in London. 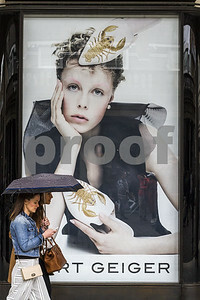 Two women oblivious to the giant poster beside them as they walk and look at there smartphones. 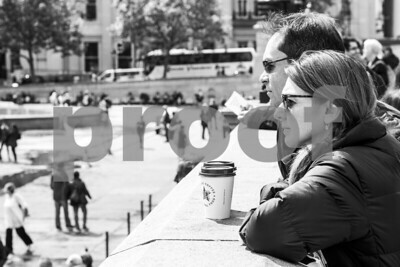 A couple looking over Trafalgar Square in London. 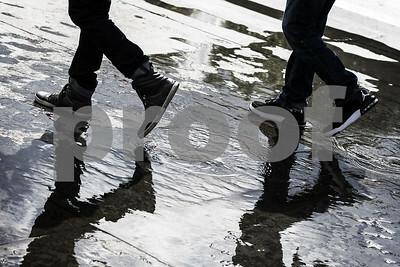 Abstract of two people walking through puddles in London. 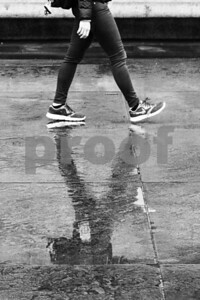 Reflections of a person walking in London. 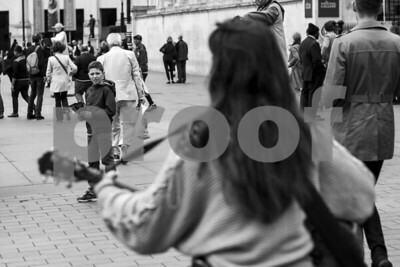 A boy watching a busker in London, he's not too sure!! 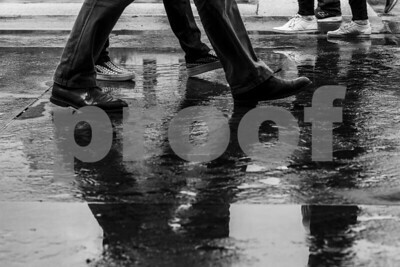 Reflections of people walking in London. 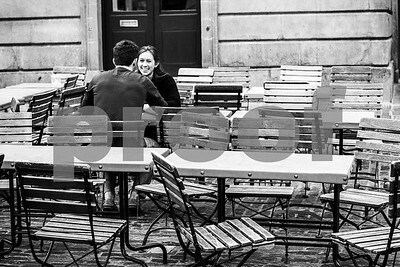 A man (and his reflection) enjoying the music in London. 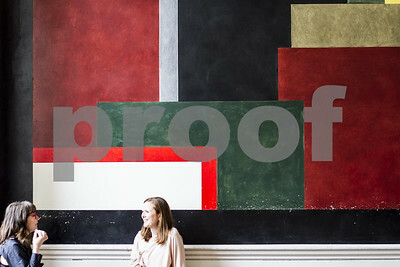 Two ladies chatting in front of a big abstract wall painting. Fancy a Ride to the Bank? 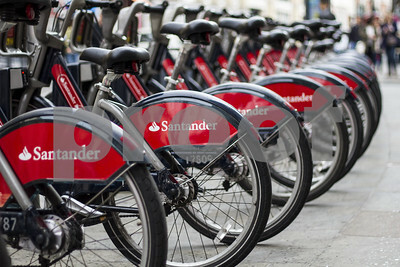 A bunch of Santander bikes in a row.